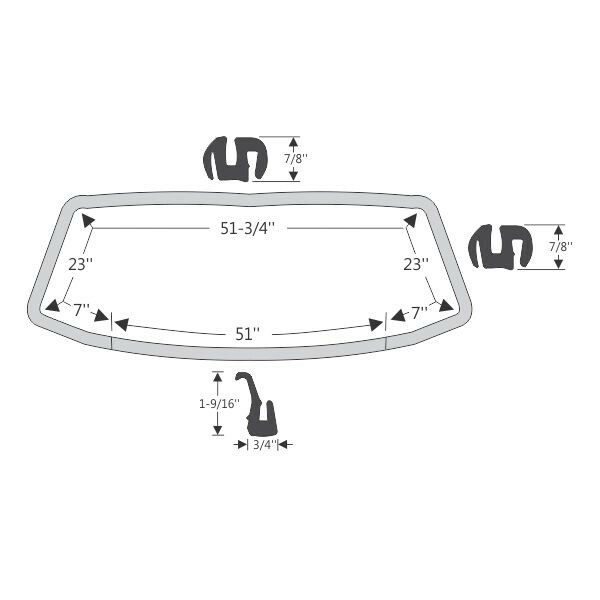 "Frontscheibendichtung C-Body 65-68 2/4 türig für Fahrzeug mit B-Säule"
This windshield gasket mounts around the full perimeter of the front glass and has the divider bar molded directly into it. It has properly molded corners to precisely conform to the glass and fit the windshield just like original. Note: For station wagons, this only fits models with vinyl roof. Fitted gasket provides a formed, seamless seal. Designed from original part so it fits correctly. We recommend for installation: 3M Brand Cleaner, Bedding Compound, and Clear Sealer. Made from top quality rubber to ensure durability and proper seal. Guaranteed to fit. Hand Crafted. Made in USA. B-liebt wie eh und je! Charger, Coronet, Road Runner oder Super Bee. Für B-Bodies aus den Baujahren 1962-78 können wir alles liefern was hergestellt wird!